Many of Calgary’s corporate companies use executive search firms, or “head hunters” for a variety of reasons. Often it’s because they lack the resources within their organization, or a network or perhaps the human resources department to execute an appropriate evaluation. If you are an executive or corporate professional looking to make a move to Calgary and area, let companies know that you’re in the market for a new position. Often, recruitment companies rely on their networks and word-of-mouth referrals to find candidates for organizations that have retained their services. The recommended way of approaching a recruitment firm is to provide a current resume and a professionally written cover level to targeted search organizations that specialize in placing candidates in your industry. Be concise as to what you are looking for in a position. Since this business is very word-of-mouth oriented, you may want to offer your services in finding other candidates for other positions. If you have personal connections in your industry of choice and membership in professional organization, you might be able to refer people for positions other than the one you’re seeking. Follow up with an email or phone call, offering your services in that regard. Here are just a few of Calgary’s top-level firms who may be looking for candidates just like you. This firm has a focus on oil and gas, engineering and healthcare related professionals. The Alberta Learning Information Service, otherwise known as the ALSI, is a provincial organization that sets out to help the citizens of Calgary achieve educational and career success. This organization will help you find employment at any stage of your career. Specializing in placing executives in finance, operations, human resources, customer service, logistics, marketing and sales. Formerly HR Business Partners, this firm places oil and gas executives including geologists, land men, engineers, accounting and finance specialists. Specializing in recruiting IT executives and professionals. Telecommunications, finance, health care, manufacturing, energy and utilities and government placings. Located at the Scotia Centre in South West Calgary, the David Aplin Group recruits business personnel. Today this is one of Canada’s largest and most accomplished recruiting firms. The David Aplin Group is a deeply specialized full-service recruiting firm that has won a number of awards, including Canada’s Best Managed Companies in 2011 and the Gold Standard Winner in 2014. This firm specializes in finding top leadership in the public, private and non-profit sectors. 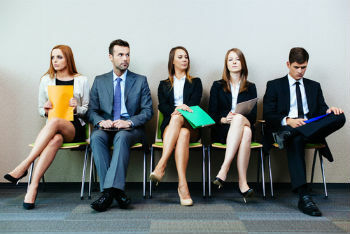 This recruitment firm stands apart from the rest by setting out to match candidates with the best job postings available. Keeping candidates happy and helping them meet their goals is among their top priorities. Executrade is located on 4th Avenue in South West Calgary. This company has been a part of the community for 40 years and describes itself as being a ‘team of real people building the leading recruitment agency in Western Canada’. Executrade builds long-term relationships with employers and has a national reach. Recruiting mid to senior level in the information technology sector. Specializing in placing V.P. level executives, information systems and programmers with more than five years’ experience, oil and gas engineers, geologists, production accounting. Harcourt is a recruiting firm that has been matching candidates with rewarding careers for over three decades. In Calgary it can be difficult to find a job that meets your unique skill set. Harcourt will help you find new opportunities in Calgary and specialize in finding employment in energy, finance, engineering, food production and construction. Search firm looking to place executives in fields such as medical, pharmaceutical, engineering, industrial, e-commerce, IT, finance, biotechnology, telecommunications and hospitality. Conducting global search and placement for oil and gas executives, mining, IT, medical, finance and business development. This firm looks for executives seeking contract or permanent positions in the fields of information technology and coordinates IT outsourcing for Calgary firms. This firm deals exclusively with senior and intermediate sales and marketing placements. This international firm places executives in IT, management, marketing, accounting and other high-demand positions. Specializing in executive searches for general management professionals, strategic management and planning executives, organizational development, marketing, human resources, IT and finance professionals. Contact Justin Havre for more information about relocating to Calgary, Alberta.